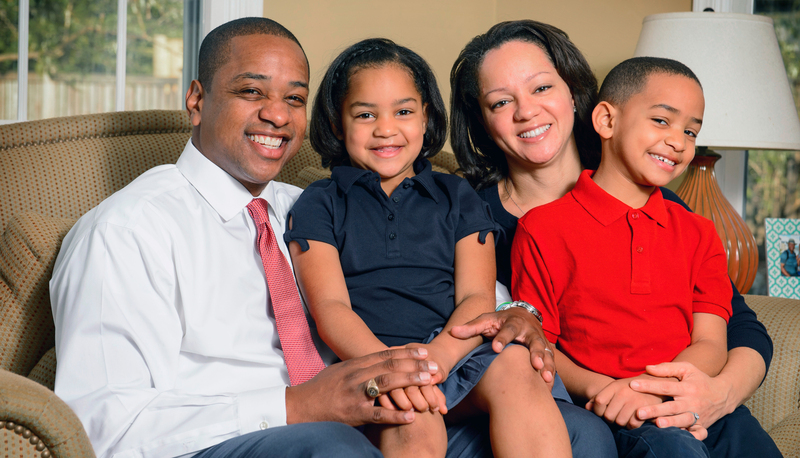 Justin Fairfax for Lieutenant Governor – Working together to create higher-paying jobs and economic security & opportunity. Justin Fairfax is running for Lieutenant Governor to help create and protect higher-paying jobs and economic security and opportunity for all Virginians. Growing up, Justin didn’t have much money, but he was surrounded by family love and spiritual wealth. 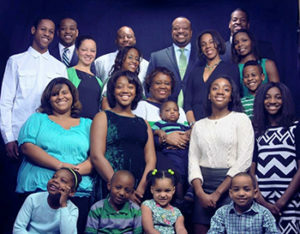 After his parents’ divorce, Justin, along with his hardworking mother and three older siblings, moved into his grandparents’ house in inner-city Washington, DC, until his mom could save enough to buy her own house across the street, and just a few doors down from aunts, uncles, and cousins. 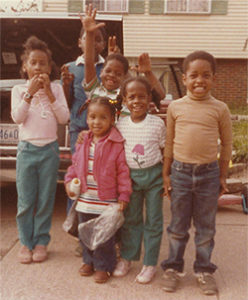 The neighborhood had transformed from a close-knit middle-class community to one ravaged by a growing drug epidemic, increasing violence, and dwindling economic opportunities, so Justin learned early on how fragile the future can be, watching the lives of many friends and neighbors unravel in the face of unexpected challenges because they didn’t have the same strong network of support. Defying long odds, Justin’s mom put all four of her children through college – and two through law school. 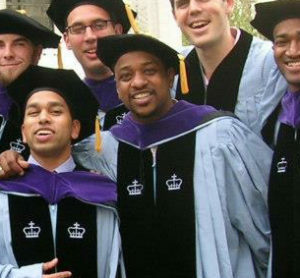 Justin received scholarships to Duke University, where he graduated with a degree in Public Policy Studies, and Columbia Law School, where he was selected for the Columbia Law Review. As Justin grew up, he felt determined to re-pay his spiritual debt by dedicating himself to public service – to help others gain access to the kind of opportunities he had to pursue his American dream, no matter where they start in life. During his career, Justin has worked in the legislative, executive, and judicial branches of government, developing a keen insight into solving the challenges that face Virginia families today. 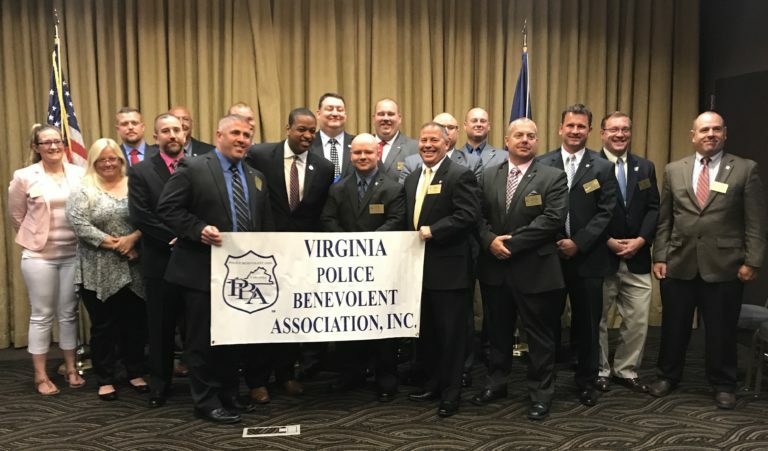 As an Assistant U.S. Attorney for the Eastern District of Virginia and the Deputy Coordinator of the Northern Virginia Human Trafficking Task Force, Justin saw the power that law enforcement and criminal justice reform can have to keep communities safe, while providing appropriate second chances, saving hard-earned taxpayer dollars, and changing communities and lives. As a small business owner with his wife, Dr. Cerina Fairfax, DDS, he understands the importance of strengthening and diversifying Virginia’s economy. And as a father of a young son and daughter, he knows how important economic stability is for our children’s future. The challenges Virginia families face today are unprecedented – when one bad life event can turn into a cascade of failures. Justin believes it doesn’t have to be that way. As Lieutenant Governor, Justin will work every day to build the foundation of economic and educational opportunity that every Virginian deserves and that will make our Commonwealth an even better place to live, work, raise a family, and grow a business. Check out our latest TV ad showing voters what Justin cares about most.